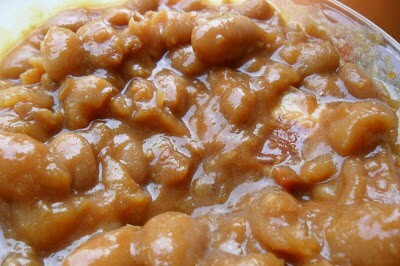 I have been making this recipe for Baked Beans for many, many years. It was a recipe my Grandma gave me when I was a newlywed, way back in the 70’s! My Grandma had torn the page out of a McCall’s Magazine. She reassured me that no one saw her tear it out of the magazine, while she was sitting in the waiting room at the Doctor’s Office.. I can almost see her…quietly and slowly ripping the page out of the magazine. Looking around to make sure no one was watching her, trying not to make any noise, folding the paper in half and quickly putting it in her big purse with the silver clasp. I mean really? 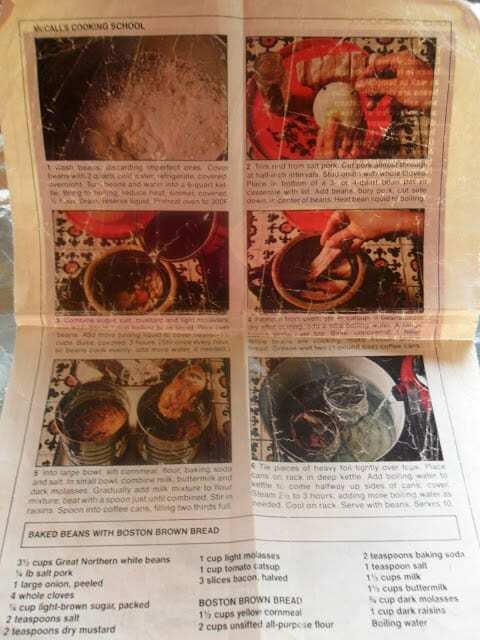 Who hasn’t ripped a recipe out of a magazine at the Doctor or Dentist office from time to time? A practice I’ve been known to do myself! My Grandma played Canasta every Thursday, for over 40 years. She said that her “Canasta lady friends” loved these baked beans and gave them their stamp of approval. She said, “You have got to make this recipe.” Like always, my Grandma was right! 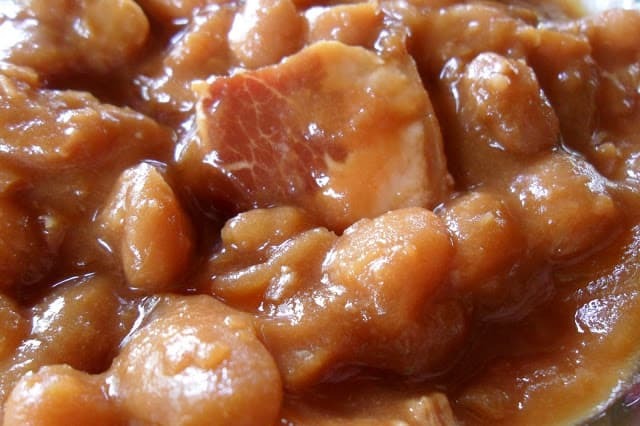 This recipe for baked beans is beyond wonderful! 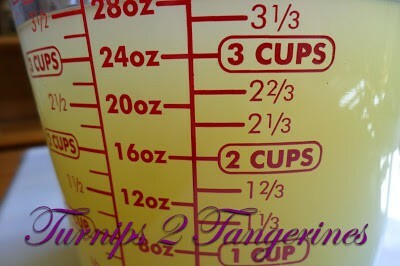 I have made this recipe for many occasions such as baby showers, graduation parties, picnics and super bowl parties. I always bring home an empty bean pot. The next time you need to bring a “dish to pass” give this recipe a try. You will be glad you did! I still use the same page my Grandma tore out of the magazine so many years ago. As you can see, this recipe has been used, many, many times. I’ve also made the recipe for Boston Brown Bread which was delicious. Wash beans, discarding imperfect ones. 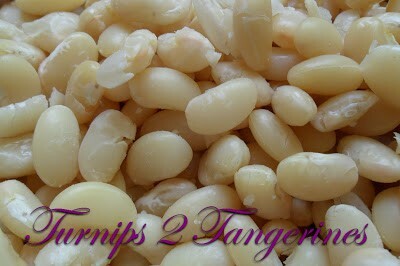 Cover beans with 2 quarts cold water; refrigerate, covered, overnight. Turn beans and water into a 6-quart kettle. 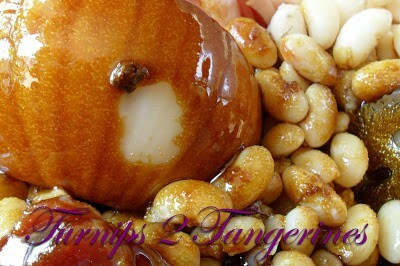 Bring to boiling; reduce heat; simmer, covered, 1/2 hour. Drain; reserve liquid. Preheat oven to 300º. 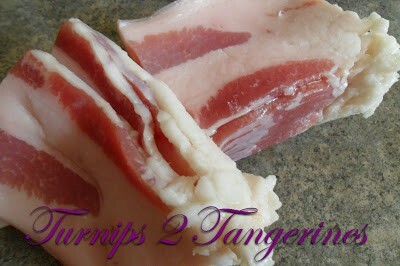 Trim rind from salt pork. Cut pork almost through at half-inch intervals. Stud onion with the whole cloves. 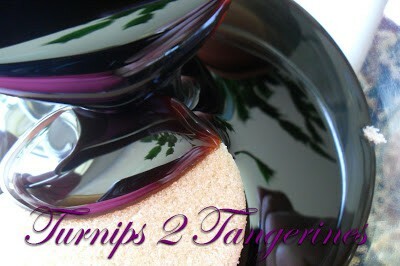 Place in bottom of a 3 to 4 quart bean pot or casserole with lid. 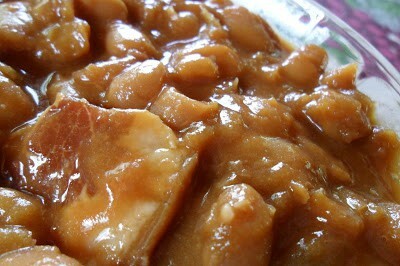 Add beans; bury pork, cut side down, in center of beans. Heat bean liquid to boiling. 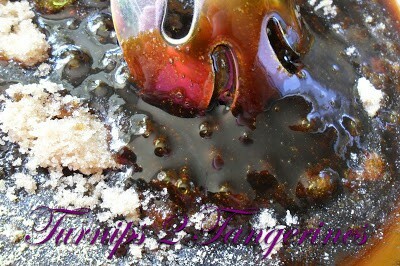 Combine sugar, salt, mustard and molasses; mix well. Stir in 1 cup boiling bean liquid. Pour over beans. Add more boiling liquid to cover beans, 1-1/2 cups. Bake, covered, 3 hours. Stir once every hour, so beans cook evenly; add more water, if needed. Remove from oven, stir in ketchup. If beans seem dry after stirring, add a little boiling water. Arrange bacon strips over top. Bake, uncovered 1 hour. Serve and Enjoy! Great Northern Beans, sorted, rinsed, soaked overnight and simmered. 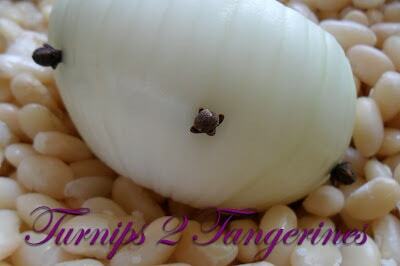 Stud onion with whole cloves. 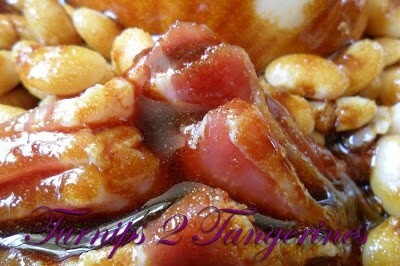 Trim rind and some fat from salt pork, or use sliced salt pork. 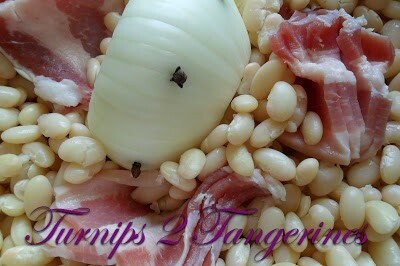 Place beans, studded onion and salt pork in bean pot or casserole. Stir together brown sugar, salt and dry mustard. 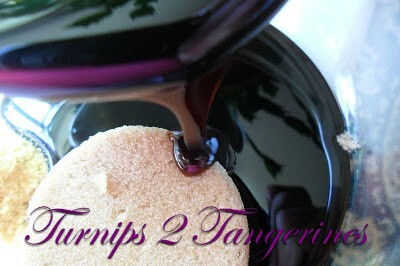 Look at that beautiful purple color from the molasses. Stir together and mix well. Stir in boiling bean liquid. Mix well. Add more boiling bean liquid to cover beans. Bake, covered, 3 hours. Remove from oven, stir in ketchup and add bacon. Baked Beans Everyone will Love. Looking for more baked bean recipes? Well you have come to the right place. 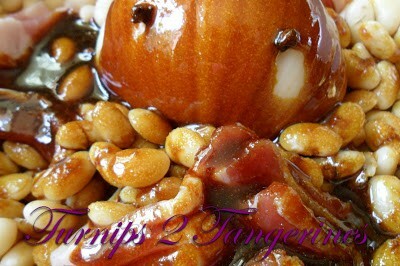 Check these out: Vermont Baked Beans and Barbecue Baked Beans. 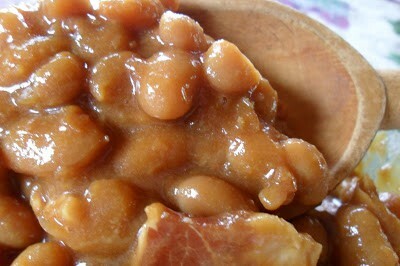 There is nothing like homemade baked beans! 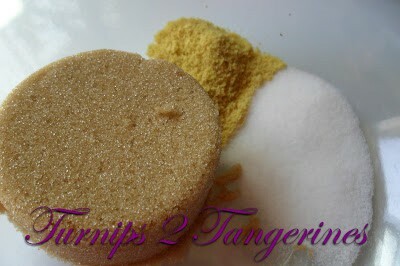 It is one recipe that I have yet to make my own – so I can't wait to try yours. 🙂 Pinning right now. Thank you for sharing at #GetHimFed Fridays, would love if you could stop by again this week! I think the story about your grandmother is hilarious. I have been tempted to do the same dozens of times over the years but now thanks to camera phones I can just snap a picture of recipes that look good. I'm always in search of new baked beans recipes so thanks for sharing. They look delicious! Good for Grandma to sneak this recipe, it sounds like a keeper! What a cute story about your grandma. I love that she made sure you knew no one saw her! Do you know that I've never made baked beans. Looks like a good place to start! Thank you for linking. Hi Lynn, your baked bean look very inviting and delicious. Thanks for sharing the wonderful recipe. I do love baked beans but most time used the canned baked bean for breakfast with eggs, sausage and toast. The part of your post that made me smile was grandma sneaking it out of the magazine at the doctor's office! But I think I can top that one. When my mother began to get a little "ditzy" – in her mid 80s – she would take entire magazines from the office! So embarrassing! I'd sit there engrossed in another and she'd be stuffing her purse. I tried to return them the first time but they laughed and said "keep it!" Good thing, too – it was a Martha Stewart with a great recipe for ribs that I use to this day!